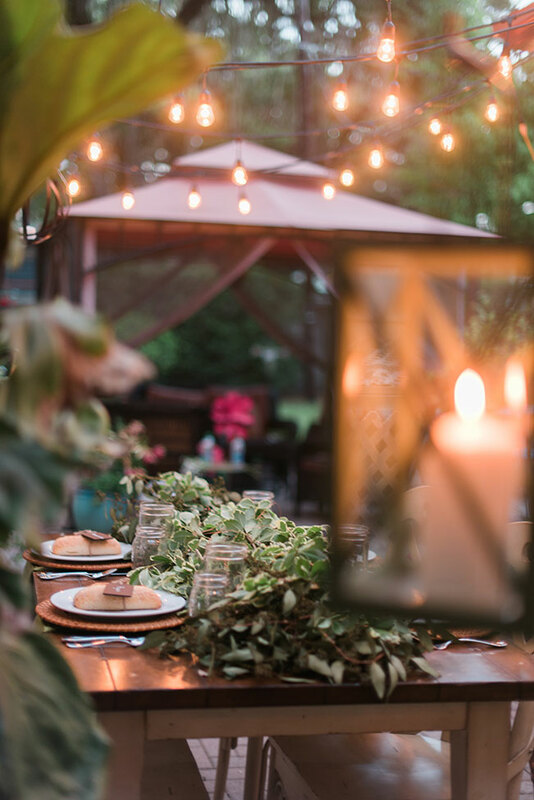 Today’s little gem is a siren song to everyone who thinks putting on something like an engagement party, in their own backyard, simply wont do! 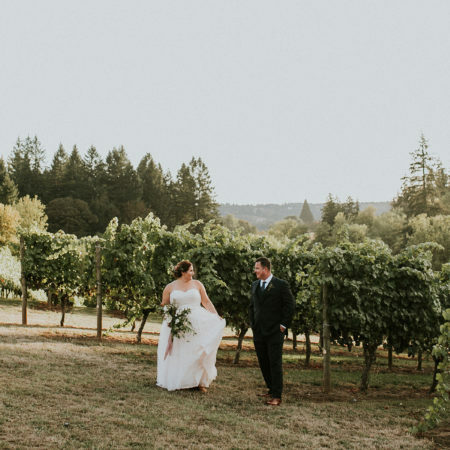 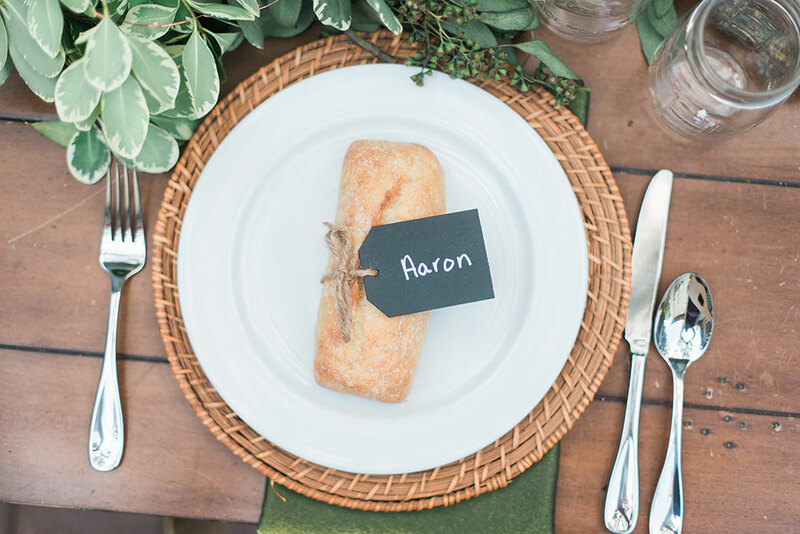 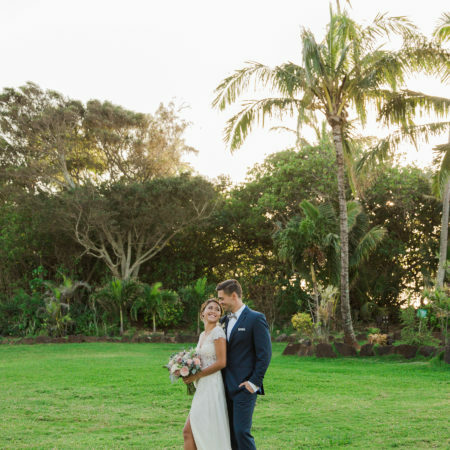 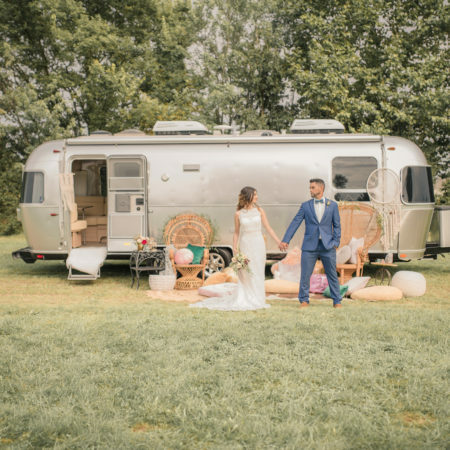 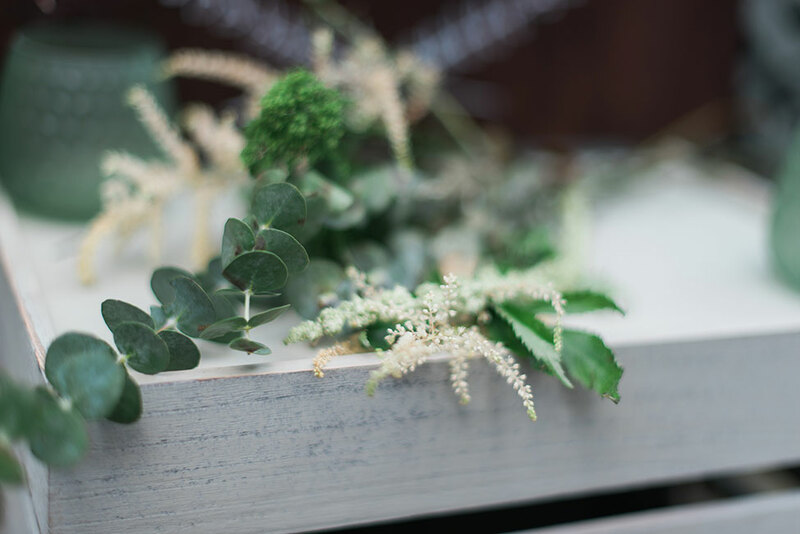 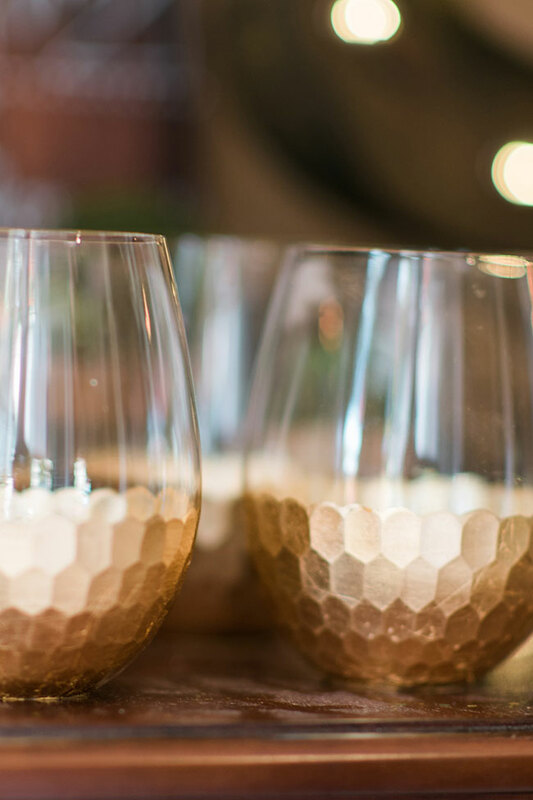 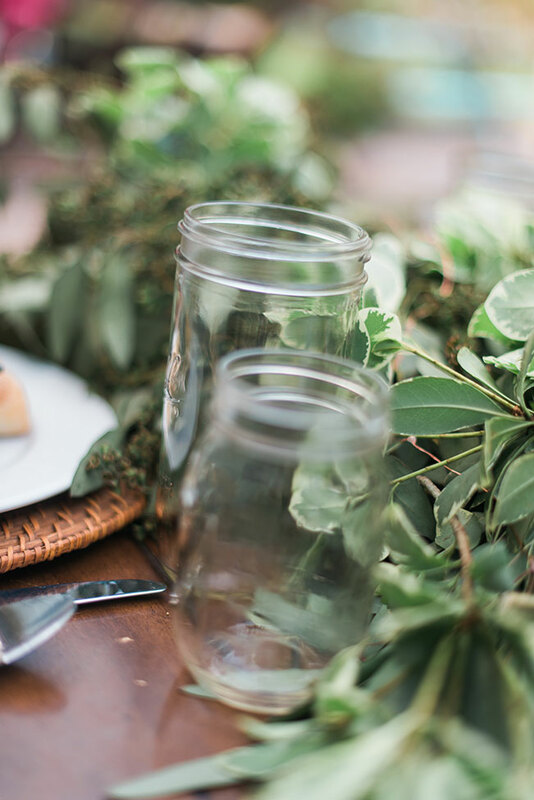 An organic wedding is something that so many people connect with thanks to all the naturally found lush green elements that are typically put together. 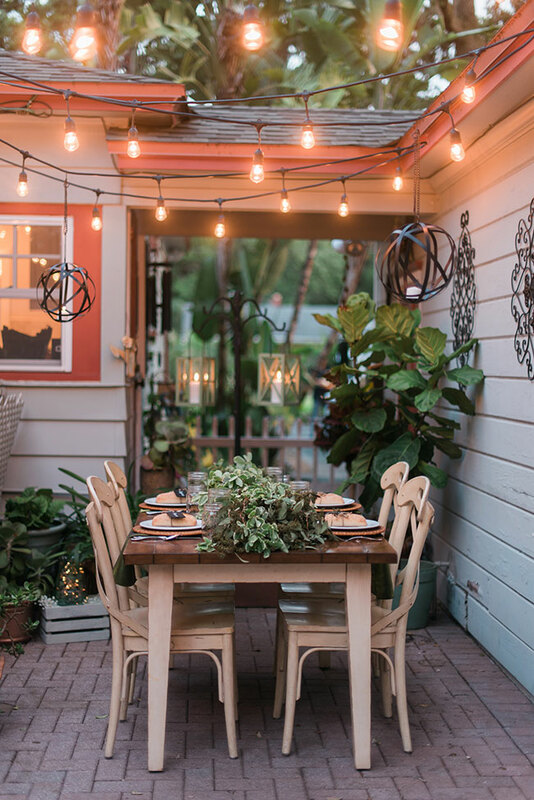 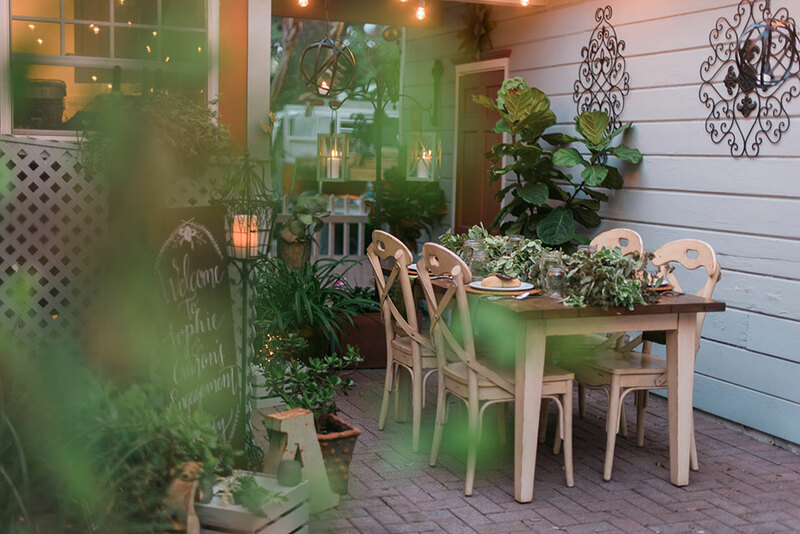 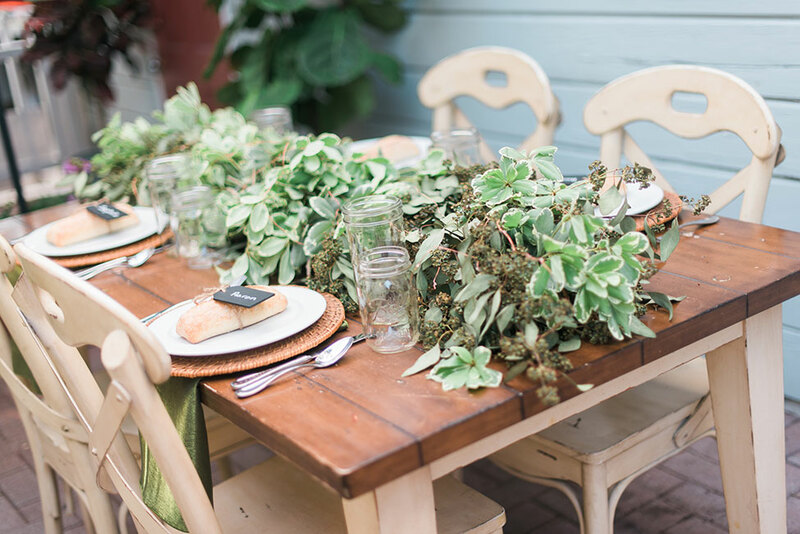 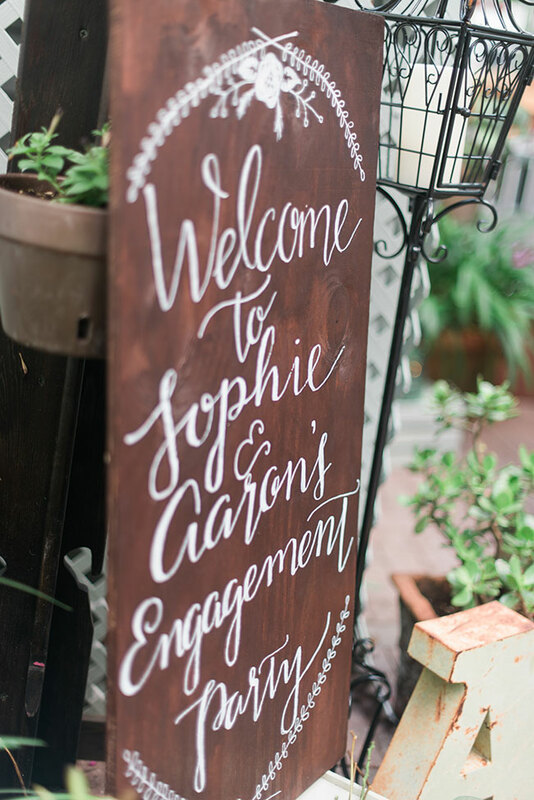 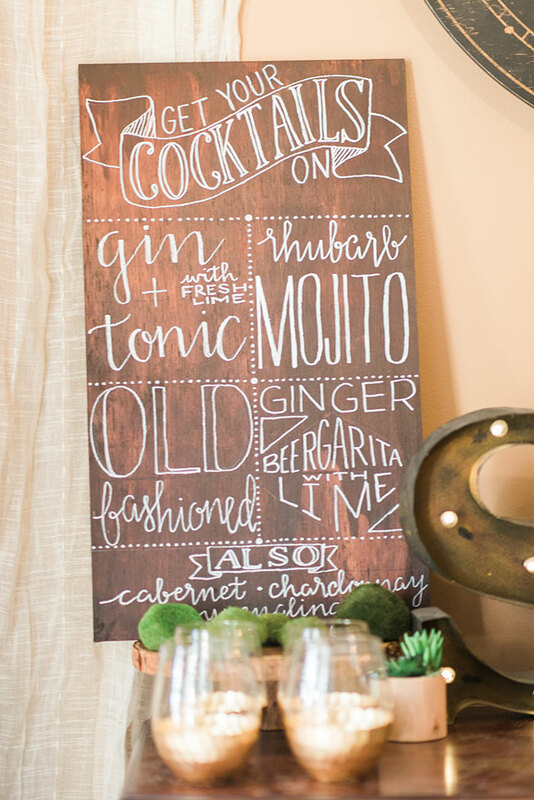 Sampling an organic wedding mentality for a backyard fete is perfection when working with an outdoor living space. 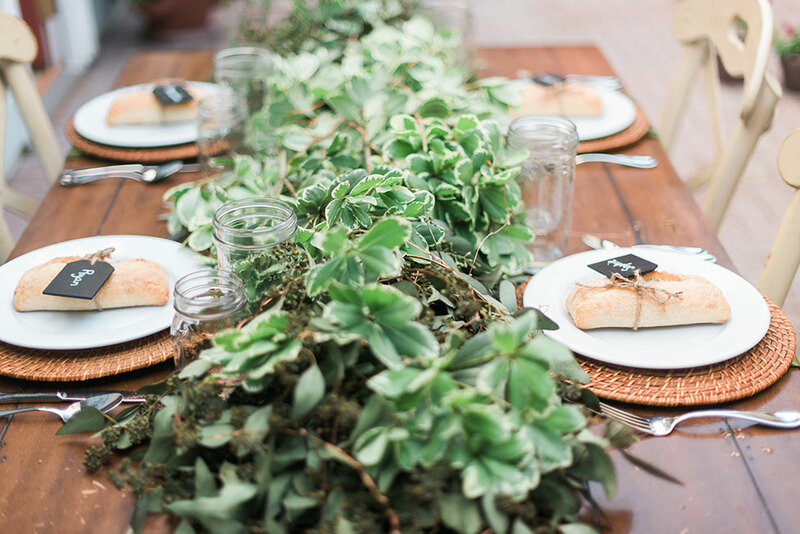 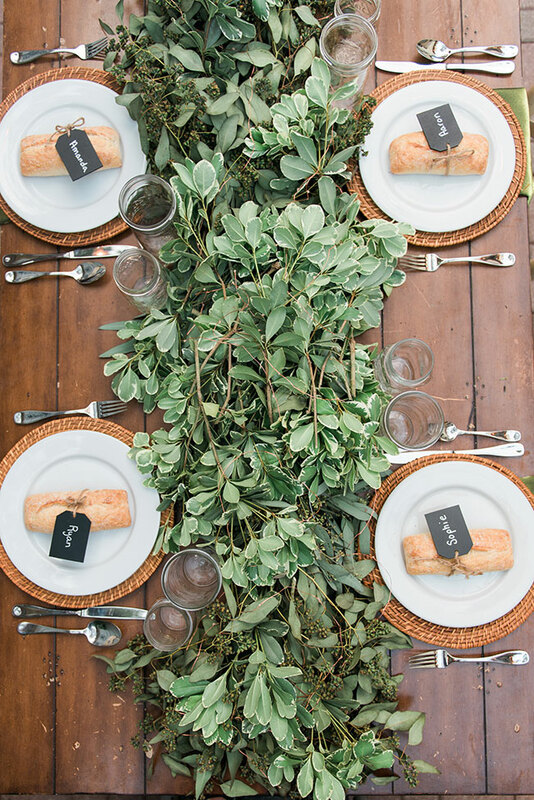 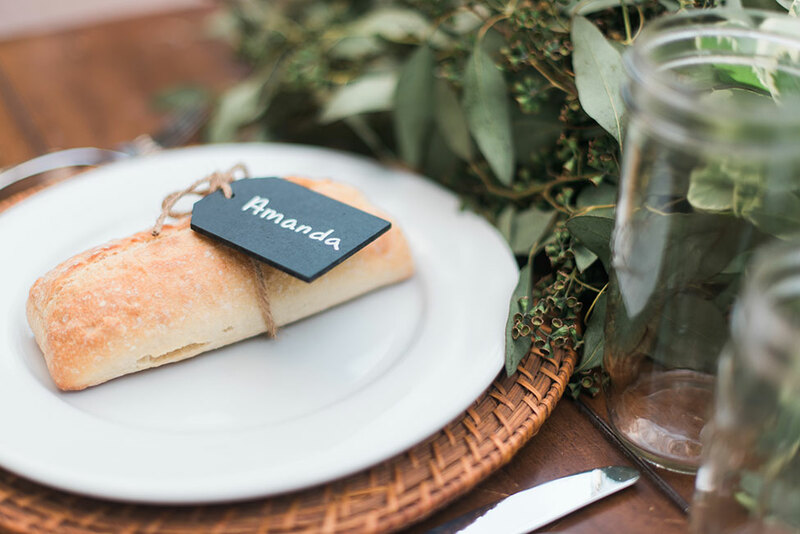 Fill tables with bunches upon bunches of greens, like emerald gaity and seeded eucalyptus which lines today’s table. 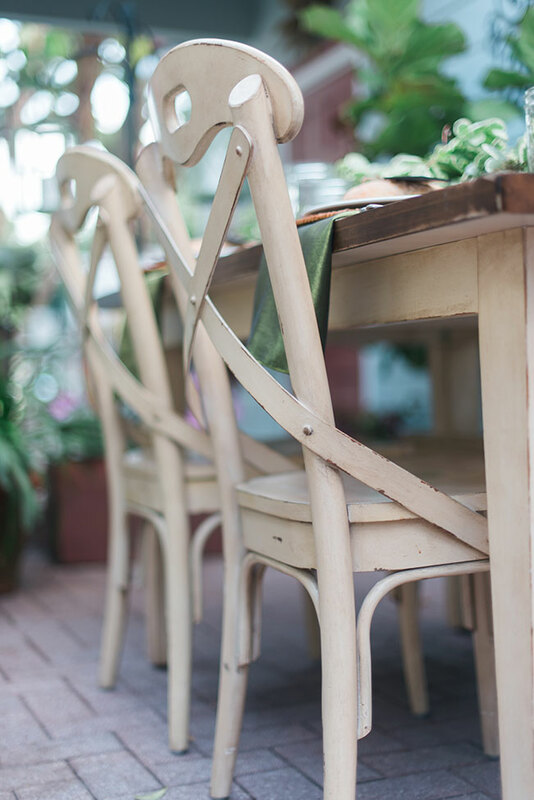 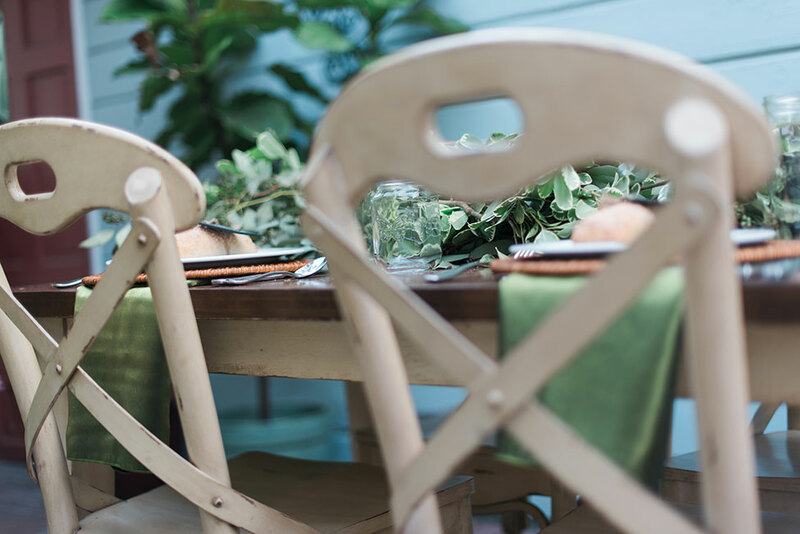 To dial up the organic nature, pair greens with earth tone natural woven chargers and farm wood table! 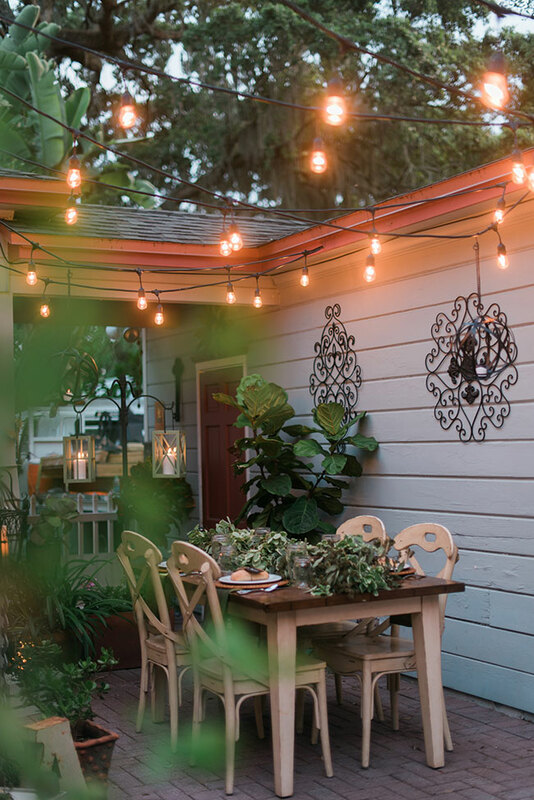 To complete the look and set the tone while giving the perfect soft romantic glow, frame the sky above with stands of bare bulb cafe lights! 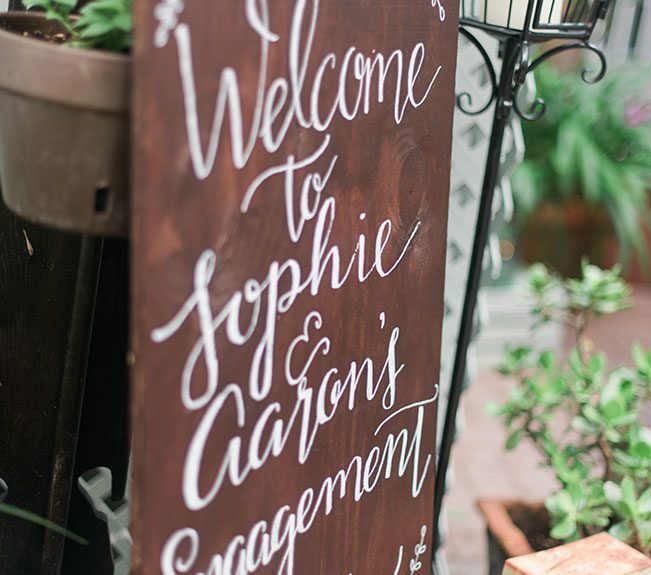 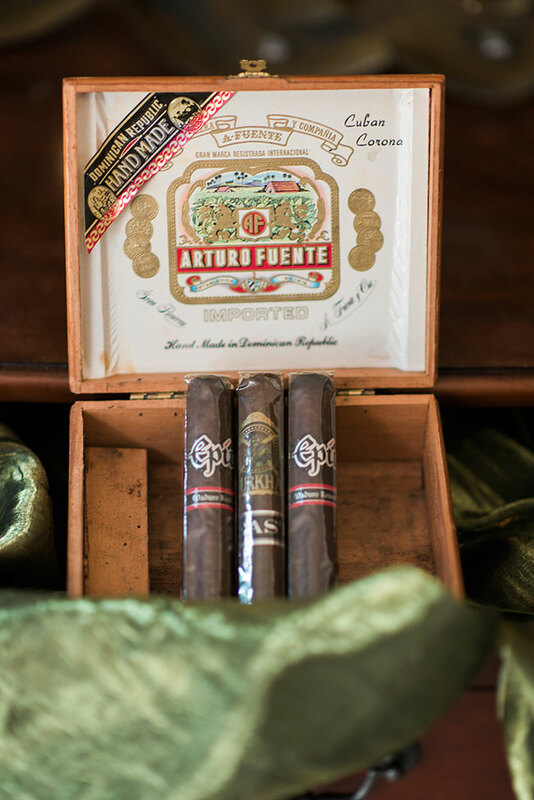 Its well thought out, simple touches, that make all the difference!